What could be more fun than a Star Wars drone? Air Hogs has built some fun Star Wars themed drones for you to fly at home or in a galaxy far, far away. 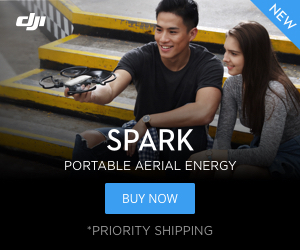 They are some of the more unique drones on the market today. Fly the Millennium Falcon, TIE fighter, a speeder bike or attack the Death Star with your X-wing fighter. There is even a pair of infrared-laser-equipped dueling battle drones. These drones are packed with nostalgia but not features. If you are looking for a toy to appease a big Star Wars fan then definitely check them out. 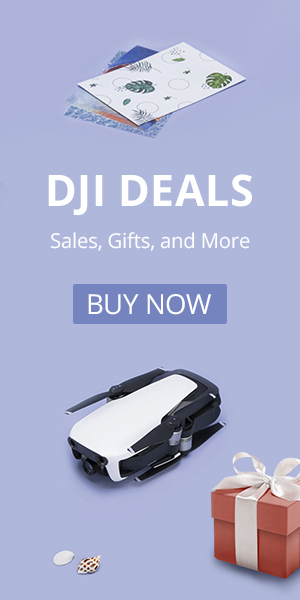 These drones can be a lot of fun if you are looking for a replica to fly around the home or office. These Star Wars quads are not for built for a drone enthusiast, but rather as a fun toy for any Star Wars fan. The Air Hogs Star Wars drones are simple toy drones but can be a ton of fun. The Millennium Falcon is one of the iconic Star Wars ships that Air Hogs has turned into a flying toy drone. It has a range of up to 200 feet and flies on the 2.4GHz band. The propellers are hidden inside the body of the drone and as a result, they are well protected from hitting obstacles or any small Ewoks you may have running around your home. The drone is made of lightweight styrofoam, includes bright LEDs and even a small speaker to make fun Star Wars sounds. You’ll need 6 AA batteries to get this drone in the air to combat the dark forces of the Galactic Empire. The Star Wars Speeder Bike is a fun little quad. It has a range of 200 feet. This drone has height lock technology and gyros that aid in keeping it stable in flight. You’ll feel like you are zipping through the forests on the moon of Endor while flying this drone. Fly an X-Wing fighter and defeat the Death Star. Air Hogs has put you in control of an X-Wing fighter and your job is to shoot down the included Death Star. The Death Star will hover in place as you fly around and attack it. The X-Wing fighter has a range of up to 200 ft and like the other Star Wars drones has bright LEDs and makes noises. This pair of drones help you recreate a great battle from a galaxy far, far away. Choose to fly either the X-Wing fighter or the TIE fighter drone and maneuver your air ship into position to take out your enemy. Both of these drones have gyro stabilization to help with flight and boast a range of up to 200 feet. You’ll be firing infrared lasers and it will take three direct hits to win. Your remote will keep track of your score while you fly. May the force be with you. These drones are a lot of fun to fly, but are not the most feature packed or durable drones on the market. Don’t think that an 8 year old will be able to fly one of these out of the box either. Flying any drone can be a challenge and probably is not the best toy for a small child. If you are a Star Wars fan and you want a unique gift then check out these Star Wars themed drones.